Makeup manufacturers and retailers do not only focus on the colour, packaging, and long lasting quality. There is so much more that one can get out of these small tubes of color that you are bound to find in most women’s handbags. First off is the statement of a ‘healthier’ i.e. 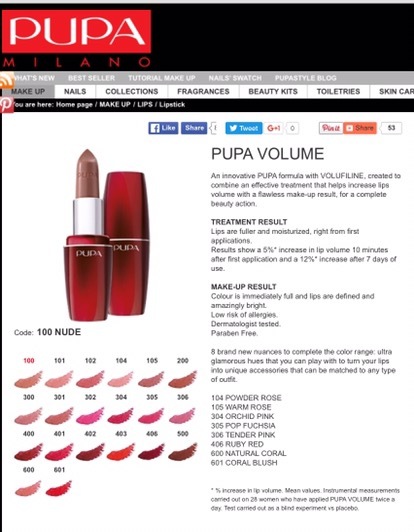 less toxic product, as the new Pupa Volume lipstick is paraben free. Apart from that it has been dematologically tested so the risk of allergies is low. So the next time you are tempted by 99c lipsticks online consider what you are really ingesting through your lips. The second factor, as the name implies, is that this lipstick promises to boost the lips’ volume, rendering them fuller and more defined, thanks to “an innovative PUPA formula with Volufiline’. Lastly, the moisturizing effect has been worked into the product so that in these colder, chillier temps the tendency for chapped lips would be minimized. First impressions: ok, so the above information you can find on the website but I summarized it for you and tested out the product for the following: moisturizing effect, duration, and whether it does what it says on the till, namely add volume to the lips. Now if I have to be frank, I’m not really interested in having those type of plump lips that you see on women in reality shows or Kim Kardashian style. However, I don’t mind some sort of firmer shape rather than thinning lips. So I was pleased that upon using this lipstick for a number of days I noticed more definition – not exaggerated volume of course – but as it’s very easy to apply and the colour I have is not too much for a red, I felt that even during the day I could get away with dabbing a bit more. On the moisturizing aspect, I am pleased to say that it has the desired effect. I used it on a recent work trip where the temperature was much colder than in Malta and not once did I have to resort to chapstick thanks to this lipstick. What about duration? It’s true that I applied it around twice in once day but that was because I did not really bother using a liner as you would do with most lip products. Reapplication was usually needed after I had eaten lunch or because I tend to bite my lips. However, there were a couple of times when I had to remove the rest of the lipstick with makeup remover in the evening, which says something about durability. I hope you find this review useful but feel free to comment or ask any questions about the product. Watch this space for more reviews on new PUPA products. Meanwhile, ask any questions on this product, which is an ideal Christmas gift too. 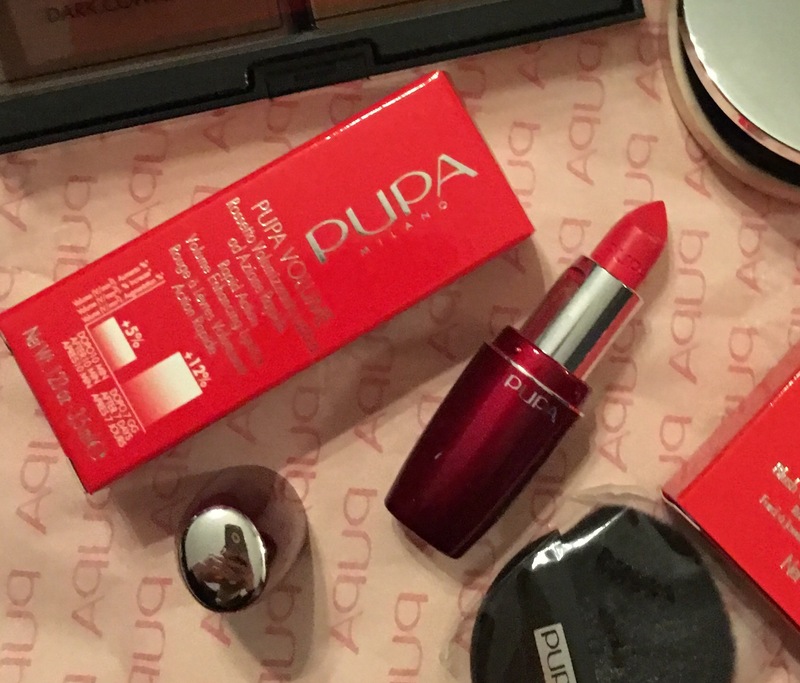 Next Don’t blush- choose PUPA!